AKIPRESS.COM - A 12-year-old girl and a 16-year-old boy reportedly killed themselves after playing a ‘suicide challenge’ game that is being shared on WhatsApp, Metro reports. Their deaths occurred within 48 hours of each other in Barbosa, in the north west Colombian area of Santander. 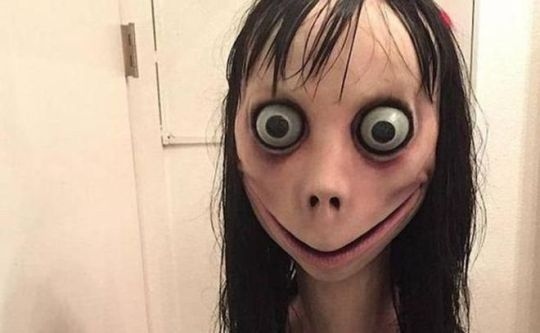 Police say they believe the pair – who are yet to be officially named – died after taking part in the disturbing new online ‘suicide game’ Momo. Police believe he passed the game onto her before his death, it was reported. The girl was found hanged two days later by relatives. The ‘game’ involves adding a phone number said to belong to ‘Momo’ – which uses a picture of a terrifying face on its profile – who then sends a series of challenges and threats ending with a demand that the player commits suicide. The Momo account reportedly sends violent images to the victim over WhatsApp and threatens them if they refuse to follow the game’s orders. It is believed the game originated in a Facebook group and is now spreading around via the messaging app. The game has been likened to Blue Whale, another dangerous social media ‘game’ which was linked to at least 130 teen deaths across Russia. Youngsters were encouraged to undertake daily tasks including self-harming, watching horror films and waking up at unusual hours.